"Step by step... we are putting the parts together in such a way that in the future, fewer children will die in Sierra Leone." On March 6, we opened the first phase of MSF Hangha pediatric hospital in Kenema. We are beyond excited to welcome our first patients. I am the medical team leader, which means I am responsible for the correct and efficient treatment of the patients. In addition, I lead the team of doctors and the Community Health Officers (CHO). Already the number of decisions I have to take makes my head buzz. How do we organize patient flow from the entrance to the emergency department? What staff do we need? When and where? How do we organize blood donations? How do we equip our ambulances? And how do we solve the problem that some of the equipment and medication have not yet arrived in the country? But let's turn back time and start from the beginning. 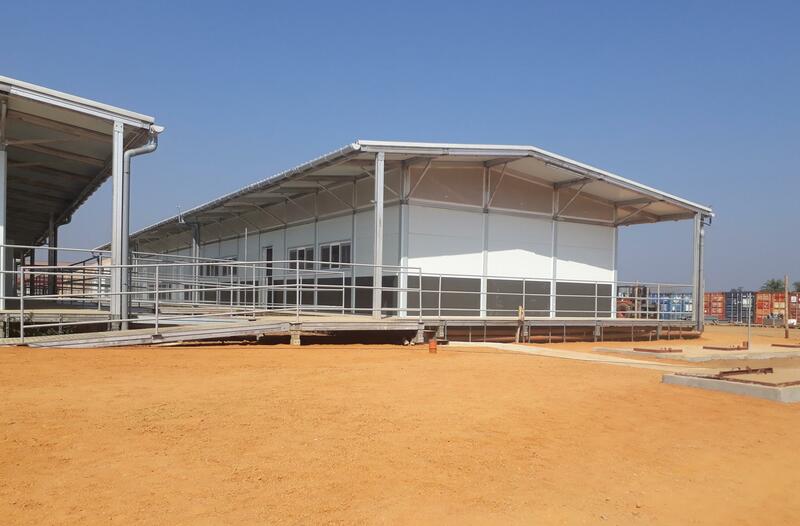 Hagha hospital in Kenema district is built from prefabricated parts. MSF has a long history in Sierra Leone. During the civil war that lasted until 2002, MSF provided basic medical care for the population. In the aftermath of the civil war, teams provided healthcare for pregnant women and children. From 2014 to 2016, the country suffered from the largest Ebola epidemic to date, with traces still visible today. The Kenema district was worst affected during the Ebola outbreak: more than 200 health workers died. Maternal and infant mortality rates were among the highest in the world before the Ebola outbreak, and have worsened ever since. According to UNICEF, every fifth child born in Kenema County dies before its fifth birthday. There are many reasons for that: a high incidence of infectious diseases such as malaria, limited access to clean water and sanitation... The national health system cannot cope with these problems on its own. Often the health centers, which are supposed to serve as primary points of contact, are understaffed or essential medicines are lacking. For many families, treatment is hardly affordable. In our hospital we will treat seriously ill children free of charge, aiming to help reduce child mortality in the Kenema district. To ensure we meet our objectives of saving lives, we have been building capacity in local health workers. 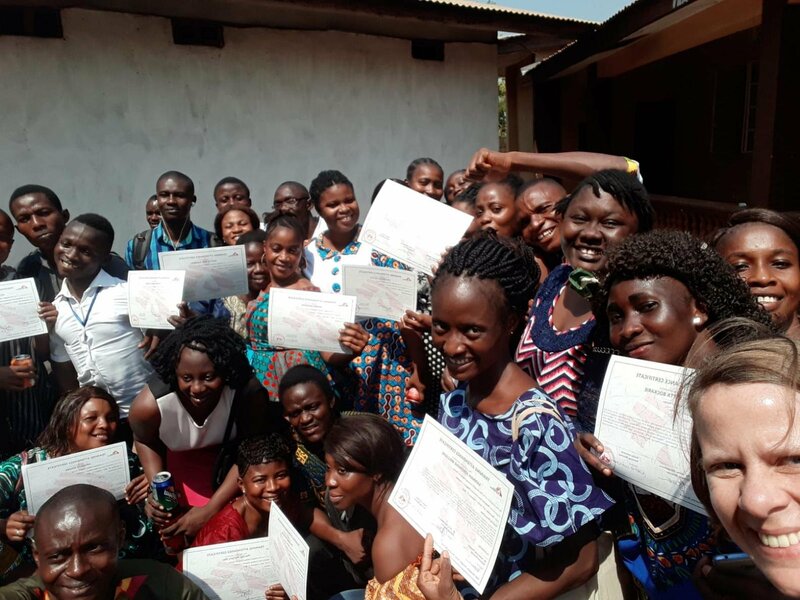 50 nurses received scholarships for a two-year training programme in Ghana: 25 of them trained as nurses, 25 of them as midwives. The plan is to deploy these highly skilled medics in the maternity department. The entire medical staff for the hospital has been trained for several weeks in the treatment of seriously ill children. We have discussed all things related to paediatric care: How do we ensure that the most urgent cases are treated first when the children arrive? How do we carry out nutritional therapy for malnourished children? A large team is currently still busy with construction work and logistical preparations. The hospital was constructed from prefabricated modular parts, and final preparations are currently underway to ensure that we have enough water and energy to deliver quality services. Other team members take care of financial and administrative preparations. Training for other staff, such as cleaners, runners, and cooks is ongoing. This feels like a puzzle where we add the pieces step by step. I am both nervous and full of anticipation. 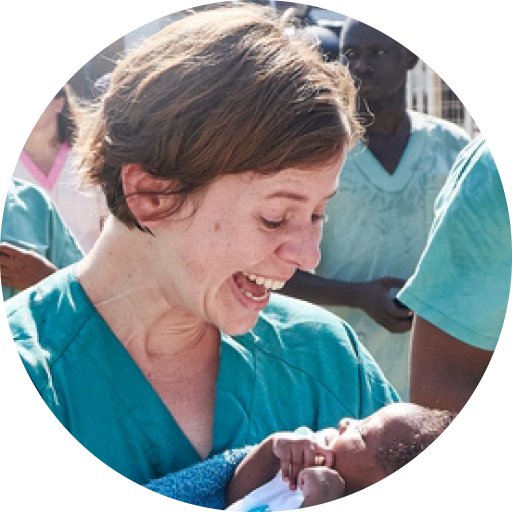 Aside from the medical and teaching components, this assignment is very important to me personally: I worked in the former MSF paediatric and obstetric hospital in Bo, which had to be closed during the Ebola outbreak due to a lack of experienced staff and the high infection risk. I am happy and grateful to be part of the team that is opening a new hospital with such ambitious goals. In collaboration with the national health system, we are putting the parts together in such a way that fewer children will die in Sierra Leone in the future.